We will auction your (Sahara) Aamby Valley project if the money is not deposited within the stipulated time period as promised”, SC Bench to Sahara Group. The Supreme Court today issued a fresh and last warning to the Sahara Group that it would auction its prime property worth Rs 39,000 crore at Aamby Valley in Pune if Rs 5092.6 crore is not paid by the company by April 17 as promised. A bench headed by Justice Dipak Misra also directed the international real estate firm, which had shown willingness to buy Sahara's stake in New York- based Plaza Hotel for USD 550 million, to deposit Rs 750 crore in the SEBI-Sahara refund account instead of the apex court registry to show its bonafide. “By virtue of the order passed today, the earlier order stands modified to the extent that the amount of Rs.750 crores (Rupees seven hundred fifty crores only) shall be deposited in the SEBI Sahara Refund Account, but the time fixed in the previous order i.e. 17th April, 2017, remains undisturbed”, the order said. “We will auction your (Sahara) Aamby Valley project if the money is not deposited within the stipulated time period as promised, the bench told Sahara group. The top court had earlier directed attachment of Sahara Group's prime property for realisation of money to be paid to its investors. 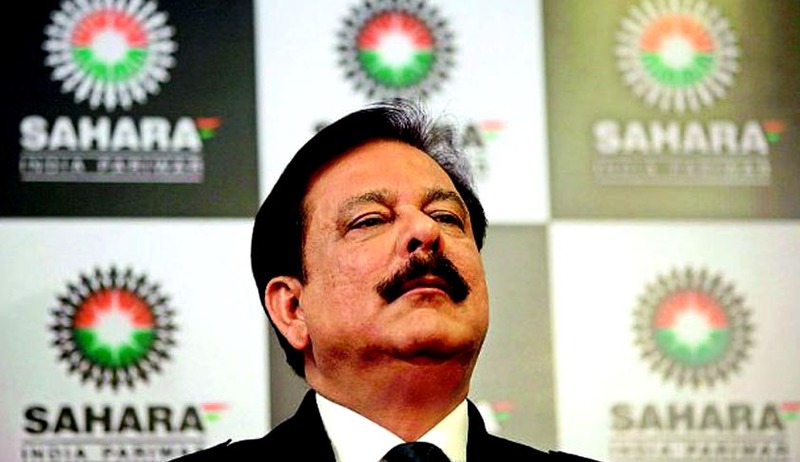 The apex court had also asked Sahara Group to provide it within two weeks the list of unencumbered properties which can be put for public auction to realise the remaining over Rs 14,000 crore of the principal amount of around Rs 24,000 crore that has to be deposited in the SEBI-Sahara account for refunding money to the investors. “This court has given so much indulgence to you. This is the worst. If you don't pay the amount, you will have to go back to jail, the newly constituted bench, comprising Justices Dipak Misra, Ranjan Gogoi and A K Sikri, had said. “Parole is granted for a specific purpose and limited period. You were given parole for performing the last rites of your mother. But you have been out for nine months. The specific purpose is over and this is continuing, it had said. The bench had asked SEBI counsel Arvind Dattar what would happen if the Sahara chief does not pay the amount to the market regulator. Dattar said there were 87 plus properties which would be attached, a receiver could be appointed and the properties sold through auction, if the company fails to pay the amount.